Cute video! Can I ask you an unrelated question? I don't know if this is the proper place to ask but do you know what the success rate of a pulpotomy on a front tooth on a (almost) 3 year old is? My son had a conscious sedation 3 weeks ago and had 6 cavities in his front four teeth filled. Now he has tremendous pain (to the touch) which is waking him up in the middle of the night. Our pediatric dentist has not seen him yet but said if there is an infection, the tooth will need to be extracted. He said the success rate of a pulpotomy on the front tooth is 50% and not worth doing because there is a good chance it will need to be extracted later anyway. I just hate seeing my son with no front tooth for another 4 years! That "advice' seems pretty spot on. Although every case is different, puplotomies on back molars or even front teeth are very often successful if the tooth is not abscessed yet. Once there is an abscess, removal of the baby tooth is almost always the best choice. A root canal is sometimes possible if there is enough root structure there (sometimes called a pulpectomy) although some dentists still say pulpotomy or even code it that way. A "pulpectomy" or root canal is the 50% chance of failure--that is if you can even do it. Prosthetic (a fake tooth) replacement is only for looks on a front tooth but can sometimes be done if the patient is cooperative, has back molars and enough space in the anterior area.--All this can become complicated with no real good choices other than to protect the growing permanent teeth. Thanks for you postings. They are very informative. Great job! I do have a question regarding to my 6 1/2 year old boy who had an abscessed molar, 2nd from the upper back. After X-ray and 2 weeks of antibiotics, my pediatric dentist said there is an option for root canal, since this baby tooth won't be shred until he is 11. We got the treatment of pulpectomy on 7/10/2012. He said it is a temporary filling and want to see my son back in one month. We did go back one month later and will see him again in Oct. He did a visual look last time and also checked the mobility of the tooth. He said the tooth is not loose. My son is not complaining any pain. But what I am concerned now is I still can see a little white spot on his gum, where the abscess used to be. The little spot is not soft but very hard. After reading thoroughly of your post "What is a root canal?" I am more concerned. Looks like extraction is a more effective way. What keeps me up all night is if the permanent teeth will be involved, though my dentist said no. What's that white spot? Please help. Thanks a lot! What is the white spot? I do not know. It could be some root canal filling material that leaked or worked it's way out (root canals and the materials in baby teeth are different from permanent teeth ones). Could be nothing, could be a fistula. I'd get it looked at. I see others have done the same as I am about to do, so I will first commend you on a job well done! The website/blog is great and congrats on the new book and all its praise! I just have an observation regarding my 2yo nephew. His front tooth was knocked out almost a year ago during some bathtub fun with his brother. The tooth was obviously very new, but came out root and all. We just assumed it would be upward of 7 yrs, or so before he got a permanent tooth to replace it. But it seems he is growing another tooth...of some sort?! Ever heard of such a thing? I am very interested in the outcome and what actions, biologically, would entice regrowth. Could be a supernumary (extra tooth of some sort), but also could be the tooth erupting a little early or a root fragment working it's way out. No way to say without an examination. An x-ray would help. Thats really cool stuff you shared here. Regarding the extra tooth inquiry, a few comments up, I am encouraging my sister to set up an appt to get my nephew xrayed. I am too curious as to what it might be. I'll be sure to update this thread if it is proves interesting. Thank for taking the time to respond! We are actually only a few hrs from you, in Mississippi! LOL...Great video. I may just have to forward this link to a few of my patients. Thanks so much! This is such a cute little video! We are having a baby soon and I am already curious as to when you teach your kids to brush, when to take them to the dentist for the first time, and what kind of dental products to buy for them. Any parents out there have favorites? I would love to get some suggestions. Very well presented and nice way to teach the kids especially how to be brushy? Either Kids or adults will definitely enjoy it. Awesome video! I have a few questions. My daughter who is eight recently went to the dentist and she has eight cavities! Four in each side in her molars. Dentist said that part of it was due to her teeth being so close together. Her dentist who she has been going to since the age of 2 recommended we do four at a time under light sedation. What does that consist of? Also I am nervous since there are a lot of deaths in children after sedation in dental procedures. Should I be referred to a pediatric dentist instead of her general dentist? What information should I be armed with when we go in and what should I look for. I am terrified! Thanks. Lauren in Cleveland. Well, first of all sedation using a specialist in Pediatric Dentistry is my strong recommendation. There are skilled general dentists, but the very few adverse reactions have ever been under the care of experienced pediatric dentists. I know you are worried, and it's ok to ask questions. Look over this blog under the general topics section (on the right side there) under Behavior management and particularly the Sedation section. The two kind of go together. Look not only in the posts but the back and forth under the comment sections. You can also reference the academy of pediatric dentistry: aapd.org where there are statements guidelines, etc, but it's a little harder to find. Good luck. I like the video. I will make sure I pass it on. Hi, Doctor Brandon. This is such an informative site and I enjoy reading all of your posts. After reading some of your responses, I have yet to find a response that targets my concern. It is regarding recommendations vs. our protective nature for our children. My son is two years old with bottle rot syndrome apparent in all top teeth. His reaction to the dentist’s chair has not left us with many options. Our dentist cannot even get an x-ray to make a full recommendation. We will have to sedate and work from there. It was originally recommended to fully sedate him in the hospital and have extensive repair done to all effected teeth (possibly 4-8 teeth) in order to save them. My question is why do I have to save them? Other than for cosmetic reasons, why wouldn’t the dentist suggest extractions? Not to mention they quoted this to be around $5k. It seems a bit extreme to me to have such extensive work done on baby teeth…they will just fall out! Considering he is currently not in any pain, I am having a difficult time convincing myself that he even needs a procedure. Call me ignorant, but I am nervous about making the right decision for my son. I don’t feel comfortable with the procedure because of his age (seems dangerous!) and I am not comfortable paying to do it. After expressing this to the coordinator, she hesitated but offered the option to extract after administering valium and gas in office. They would then follow up with a partial denture. I am more ok with this route, however her hesitation has made me nervous - Should I just give in to the experts, or stick with my gut? Thanks in advance for your response. The decision what to do is ultimately up to you. There is a lot here about behavior management for dental treatment. Sedative medications are marginally effective in very young defiant or resistant children. 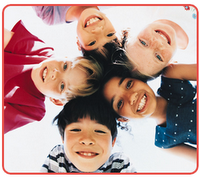 We do OR cases every week on very young children with multiple treatment needs. Ask your dentist for more specific information that is specific to your chid. Best Wishes. Wow, that's a bunch of questions I cannot answer in a quick blog comment. 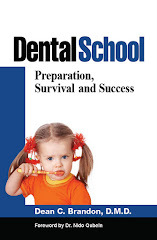 There is some in my book about the specialty experience and some about Pediatric Dentistry in particular. I get spit up on (and bit) every now and then, but that's not that bad. The most difficult thing is dealing with emotion. Patient emotion but also parental emotion The kids are generally sweet and easy to deal with. Each person has different talents and abilities. Pedo is a high energy, high emotion, high intensity specialty. Still, kids, come on, what a great job! Just remember Pediatric Dentistry is not a technique oriented specialty like oral surgery, or endodontics. It is an age related specialty. So, like the general dentist, you have to know all of the techniques, but you also have to know a lot about growth and development, pharmacology, behavior management, in addition to orthodontics etc. One of our dentists here completed their GPR and Pedo residency in New York City.